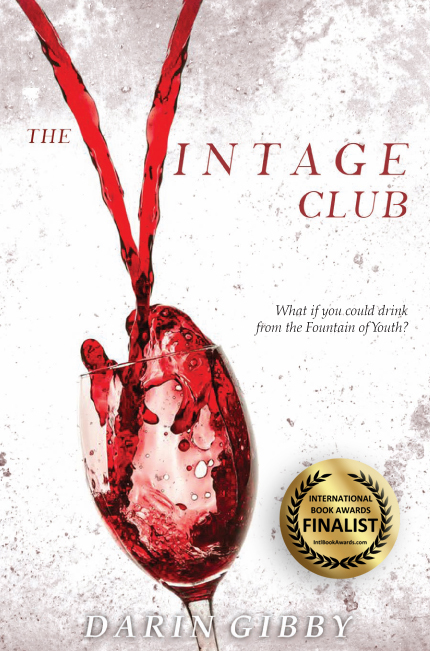 THE VINTAGE CLUB has been selected as an International Book Awards 2014 Award-Winning Finalist in the Fiction: Thriller/Adventure category. Click here to download the complete press release. Two local lawyers have recently pulled from their legal expertise for writing inspiration.Kilpatrick Townsend partner Darin Gibby put his knowledge into a fiction novel, “The Vintage Club.” The novel unravels a myth that an ancient variety of grapes may contain the ingredient to the “elixir of life”. But things take a sinister turn when the scientist hired by the club ends up dead, and the prime suspect ends up running for his own life. 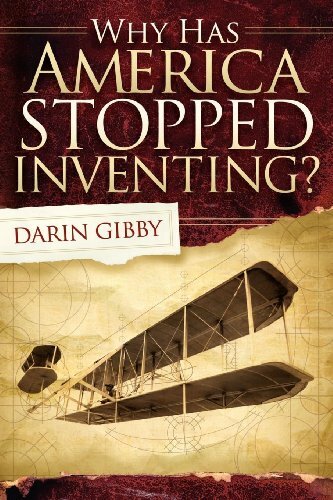 Gibby’s first book, “Why Has America Stopped Inventing?” explored the critical issue of America’s broken patent system. A full copy of the article may be found here. This novel has a mix of religion, mystery, and a cliffhanger that will literally leave you hanging on your seat! The author takes you to Washington D.C. and you are introduced to Reggie Alexander. I liked that the author didn’t make Reggie to be a perfect character. He has alot of flaws, like many of us do and that makes him more of a relate-able character. Now add a person such as Reggie with a scientist, who is also his Godfather, to the mix. When Walter is murdered, the authorities assume Reggie is the one who murdered Trudell. I won’t give out any spoilers, but I will say this. At one point in the book, one of the characters has to make a decision that many of us pray we never have to make. The author did a terrific job of showing the emotion of each character involved. While reading this part of the book, I was screaming inside, “WHAT? NO!”. Once I got to that point of the book, I actually re-read the chapter again to make sure I understood what had happened because the cliffhanger really threw me. This would make a good thriller mystery movie. It reminded me of The DaVinci Code. This novel has a mix of religion, mystery, and a cliffhanger that will literally leave you hanging on your seat! The author takes you to Washington D.C. and you are introduced to Reggie Alexander. I liked that the author didn’t make Reggie to be a perfect character. He has alot of flaws, like many of us do and that makes him more of a relate-able character. Now add a person such as Reggie with a scientist, who is also his Godfather, to the mix. When Walter is murdered, the authorities assume Reggie is the one who murdered Trudell. I won’t give out any spoilers, but I will say this. At one point in the book, one of the characters has to make a decision that many of us pray we never have to make. The author did a terrific job of showing the emotion of each character involved. While reading this part of the book, I was screaming inside, “WHAT? NO!”. Once I got to that point of the book, I actually re-read the chapter again to make sure I understood what had happened because the cliffhanger really threw me. This would make a good thriller mystery movie. It reminded me of The DaVinci Code. The author, Darin Gibby, sent me a copy of this book to review. I’m very picky about novels set in the ancient world so at first I was concerned but the story quickly moved on to the modern world where we meet our main character, Reggie Alexander. Father, adopted son, and cursed by a dark family secret he is ashamed to discuss even with his wife, Reggie’s life is about to get much worse as he caught up in the murder investigation of his adopted father’s death. Scientist and born-again Christian Walter Trudell’s last patent was about far more than medical devices. His son, Reggie, soon finds himself questioning who he can trust as he is trapped between the elite Vintage Club, and Captain Damhoff of the police department. Gibby navigates his complex motivations for all of the major players quite well. Gibby does a good job of weaving multiple viewpoints, driving the plot quickly to an intense conclusion. There is a bit of mystery left over and a hint that Reggie might want to continue his father’s work but overall this is a good solid novel that really doesn’t need to be continued. The author, Darin Gibby, sent me a copy of this book to review. I’m very picky about novels set in the ancient world so at first I was concerned but the story quickly moved on to the modern world where we meet our main character, Reggie Alexander. Father, adopted son, and cursed by a dark family secret he is ashamed to discuss even with his wife, Reggie’s life is about to get much worse as he caught up in the murder investigation of his adopted father’s death. Scientist and born-again Christian Walter Trudell’s last patent was about far more than medical devices. His son, Reggie, soon finds himself questioning who he can trust as he is trapped between the elite Vintage Club, and Captain Damhoff of the police department. Gibby navigates his complex motivations for all of the major players quite well. Gibby does a good job of weaving multiple viewpoints, driving the plot quickly to an intense conclusion. There is a bit of mystery left over and a hint that Reggie might want to continue his father’s work but overall this is a good solid novel that really doesn’t need to be continued. Look out Dan Brown, you have competition! Darin Gibby’s style of writing has you hooked from the very beginning. The characters are well formed and believable. The twist at the end is perfect. The Vintage Club is made up of the worlds wealthiest men on a quest for the elixir of life. Reggie Alexander finds himself the prime suspect when his godfather is murdered. The story follows Reggie at a fast pace as he tries to stay one step ahead of the police. If you want to know more then just read the book! Thank you Darin Gibby. I will certainly look forward to your next book! Look out Dan Brown, you have competition! Darin Gibby’s style of writing has you hooked from the very beginning. The characters are well formed and believable. The twist at the end is perfect. The Vintage Club is made up of the worlds wealthiest men on a quest for the elixir of life. Reggie Alexander finds himself the prime suspect when his godfather is murdered. The story follows Reggie at a fast pace as he tries to stay one step ahead of the police. If you want to know more then just read the book! Thank you Darin Gibby. I will certainly look forward to your next book! Reggie Alexander is just another man trying to get by. His daily activities including his work at the patent office, dinner with his wonderful wife and son, coaching his son’s basketball team, and planning his path to becoming a patent attorney. But when his godfather, and savior, is found dead, Reggie’s world spins out of control once again as he becomes the prime suspect and begins to discover that Walter’s death may have been part of something much bigger. The Vintage Club by Darin Gibby was a great read from the very start. It begins not in the present, but far in the past, in the days where living a long life meant centuries. Since I was expecting a story taking place in the present time, I was automatically draw into the story to figure out how this would relate back to the story I thought I was reading. What I discovered is that this introduction was just one example of how author Gibby delves deep into the past to tell us about the characters, the events of the story, and even the settings of the story. I was amazed at how much detail we were given, especially about the few main characters. At every turn we were learning how these people became who they are and ended up doing what they were doing. He used multiple points of view to tell the story, which only increased my interest and made it easier to learn more and more about each character’s backstory. While this book was classified as “Fiction – General” on the cover, I would rather describe it with words like mystery, thriller, crime, and suspense. As a fan of Dan Brown, I was excited to see how Gibby seemed to follow a similar model in the Vintage Club. In fact, it fits in well with works by Dan Brown, Brad Meltzer, and even the National Treasure movies: all of them include religion, knowledge lost over centuries, the quest for an item or truth, and plenty of secret societies and conspiracy theories. However, Gibby’s focus on wine and wine-making added another level that wasn’t present in similar stories I’ve read. With any book this action- and adventure-packed, you know that the climax will completely blow your mind. And I will gladly admit it did, though I was a bit confused. While the story had plenty of plot twists and sudden changes, it seemed like they were too concentrated at the end of the book. I was fine reading up to the most intense part, but the moment I turned the page I was completely lost as to how certain things had happened. I continually felt like I had missed something, but couldn’t ever find it. Luckily, the confusion was over some minute details, but this brings me to another point about the story: the reader needs to read deeper and use what Gibby’s told us previously in order to fully understand the dialogue and events. I felt like this book was highly intellectual, and appreciated that a lot of the focus was on science and religion. As a religious person who also has a passion for science, I understand that there must be a balance between the two. Gibby has mastered the art of mixing science and religion into a story that will not offend those who are religious and will still make it believable for those whose faith lies in the sciences. I was very impressed. This book is definitely worthy of five stars, 10 out of 10, or two thumbs up. It kept me hooked from beginning to end. Gibby was even able to conclude the story in a way that both wraps up the story but also leaves you guessing if more could come. I would recommend this to anyone who likes adventure/action/mystery/crime novels, especially fans of Dan Brown. Truthfully, this is a story that I believe anyone would like. Reggie Alexander knows he comes a long way from his impoverished life as a DC orphan thanks to affluent Walter and Sherri Trudell who gave him shelter and sustenance from the street violence as one of their “projects”. Now married with a wife and son in Rockville, Reggie takes the o-dark commute to his work in Washington as a bureaucrat at the Patent Office. Reggie’s safe family façade collapses when someone murders Walter; as the philanthropist’s associates at the Vintage Club believe he killed his savior. Not long afterward, Reggie’s wife and son vanish while he goes into hiding to avoid the assaults on him that emotionally take him back to his brutal childhood before the rescue. What Reggie is unaware of is that the Vintage Club members seek the Last Supper wine of immortality and think he killed Walter for it. This Brownian thriller is an action-packed tale that removes a young man from his heavenly middle class existence and places him in hell with the return of his childhood PTSD; turning Reggie into an unconfident David facing presumptuous billionaire Goliaths. Though transitions are choppy (hazard of first books), fast-paced with fascinating interpretations from the bible, fresh use of customized nanotechnology, insight into patent law, and child trauma haunting the adult; readers will relish this engaging novel. What if you could make a wine from the same seeds that made the wine that Jesus served at the Last Supper? Would it transform you? Would you live forever? In the vein of Dan Brown, Darin Gibby’s debut novel asks questions of our more sacred stories, and what secrets they might hold for our present day. I love the idea that the Bible is full of coded messages, and Gibby’s in pursuit of a very interesting one, the idea of eternal life. I really love the idea that drinking wine might hold the answer. Talk about a win-win proposition. The main hero of this story is Reggie Alexander, a young husband and father, who’s been ‘rescued’ from a life of poverty and despair by a billionaire philanthropist, who gathers together a group of boys into the church of The Living Waters, to offer them mentoring from the congregation. Reggie, who is an orphan with a terrifying history of violence, who finds sanctuary with Walter and Sherri Trudell, a wealthy couple with no children of their own. Reggie succeeds in life with some hard work and the opportunities he’s been given, and now works at the patent office. When his mentor, Walter is murdered one night, Reggie’s world falls apart in a hurry. Dealing with acute anxiety from his dysfunctional upbringing, Reggie finds that all he’s worked for is in jeopardy, including his wife and young son. Going on the run with no idea of who to trust, Reggie dig deep within himself to overcome his fatal flaw in order to rescue his wife and son. Fast-paced, in the tradition of Dan Brown, The Vintage Club is a near perfect read. 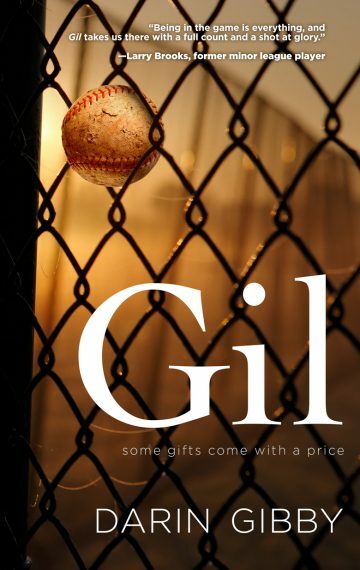 Since this is Darin Gibby’s first novel, it’s not as sooth as The Di Vinci Code, but then that book wasn’t Dan Brown’s first, more like his third, I believe. On the other hand, for a first novel, this is a first-rate effort and at the rate Gibby is going, he’s going to be a best seller in no time. Full of information about patents, which Gibby is an expert in, and good characters that are relatable. I loved Reggie Alexander. He was brave, and sweet and deserves another installment in his story. Exciting with great character development, left me wanting more. Who wants to live forever? Most people if you ask them. This is a very entertaining book with some interesting science which will probably be available at a liquor store near you in the near future. Exciting with great character development, left me wanting more. Wondering when the next book is coming out. I’ve been fortunate to have several blogs run feature articles. I have to admit, they came up with some good, probing questions. Here are some that recently posted.